Progress is underway on the construction of Liverpool International College which is in the heart of Paddington Village. The scheme, due to open in September 2019, is a flagship development in Knowledge Quarter Liverpool (KQ Liverpool), a 450-acre urban innovation district that is home to some of the world’s most influential players in science, health, technology, education, music and the creative and performing arts. To create the 47,000sq ft, 13-storey, 259-bed student accommodation block and a three-storey college building for up to 900 students you need to enlist the help of some serious machinery. The two cranes were installed in March and now join the impressive skyline of Liverpool. The opportunity to work surrounded by fantastic scenery is enviable, so we wanted to find out more. Speaking to the two crane drivers, we wanted to find out why they chose this career and the reality of spending your time in the skies. The first driver has been doing this role for over 20 years, progressing from working on various plant on the site and then wanting to gain greater experience. The second driver is following in his colleague’s footsteps as a crane operator. They said the best thing about the role is watching the job progress from start to finish and knowing the developments in KQ Liverpool’s Paddington Village will have such a positive impact on the local community and regeneration of the area. 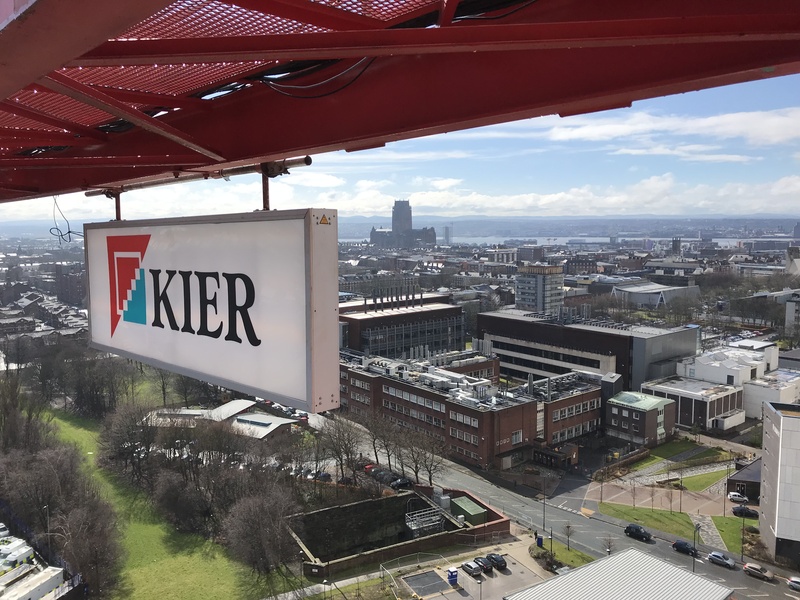 “You do need a head for heights but you also need to be fully conversant with all the health and safety requirements and being aware of the building environment around you. 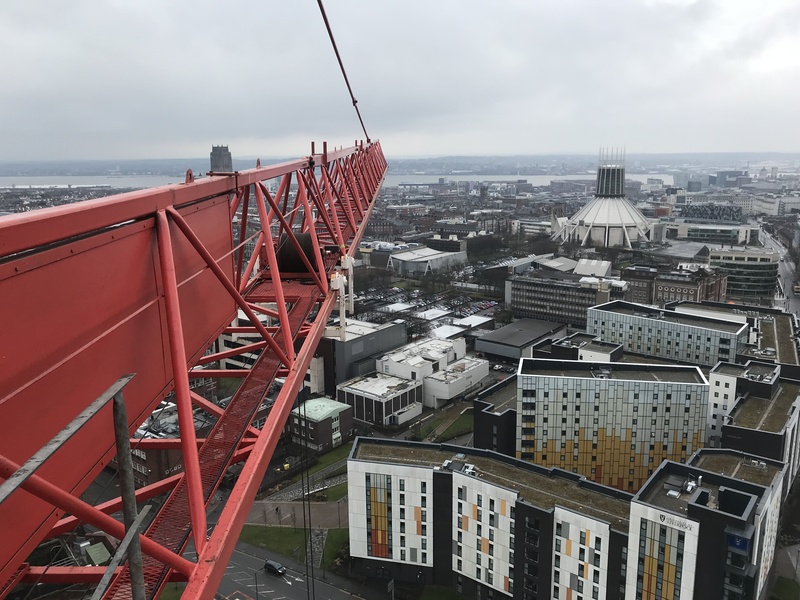 The more noticeable landmarks identified from the Kaplan crane include the fantastic cathedrals, the Liver Building, the Welsh Hills and the football pitches.” Asking if there were any drawbacks they explained that the weather can have a significant impact with wind and fog hampering operations! As Kaplan is based in KQ Liverpool we have taken to opportunity to share our building knowledge with built environment students and the local community. Over 200 students from disciplines such as architecture, construction, brickwork, BIM and educational facilities including the University of Liverpool, Liverpool John Moores University and the City of Liverpool College, have visited the site and gained a great understanding of the construction process. We also opened our doors in March through the National Open Doors scheme where the community could visit the site and see the significant investment in the area. The site is also supporting people into construction with work placements, traineeships and apprentice schemes.